My story yesterday regarding Elio Motors asking the Caddo parish for a loan to buy the shuttered General Motors Shreveport Assembly plant (read it here) prompted me to do more research. For many of us, the bailouts of 2008-09, particularly the special treatment that GM and Chrysler received during them (nevermind the banks), is a sore spot. 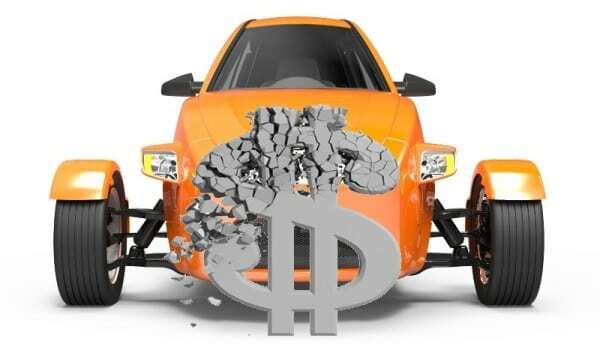 The failures of would-be automotive companies receiving federal, state, and local money to help them get going, also mentioned in yesterday’s article, is another sore spot. When it was announced that Elio was also looking for government handouts, it seemed a little questionable. Especially since that loan is for only $10 million – even less than that if you sit down and do the math, actually. Why can’t this startup raise a mere ten million from private sources in order to get themselves a production facility? Probably because a close look at their financials reveals that they are not even marginally realistic in their figures and expectations, and with profit of less than $1,500 per car sold (actually about $1,000 by Elio’s estimates), it would take a long, long time to pay back that $10 million – let alone the other millions raised and still required to get things off the ground. 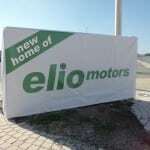 By Elio’s own estimates, they will need about $200 million more just to produce the first car and put it on a yet-to-be-established dealership lot for sale. Further, the company plans to sell more cars in a year than Jaguar and Land Rover do, combined, starting from their first year. Going through Elio’s financial projections, in fact, is akin to reading a dystopian thriller set in the world of accounting. Clive Butler would have a hard time topping these projections. I obtained the Elio proposed financials from the Caddo Commission through the Racer Trust. Amazingly, a Google search for “elio motors financial statement caddo” found it within a couple of pages of hits (yay, Interwebz). You can download it directly from CarNewsCafe at this link (XLS file) or read it on Google Docs here. Analyzing that file shows some far-out stuff. Where previously I was a supporter of Elio, albeit cautiously, seeing these numbers has changed my thinking completely. Simple math says that if Elio makes $1,000 per car built and sold and has raised $250 million in funding (roughly the current money raised plus future requirements to get the plant operational), then they would have to sell.. 250,000 cars just to enter the realm of profitability. They expect to reach a steady 250k units per year within the first two or three years of operation, with their first year being a huge 68,000 or so units, and so expect profitability within five years – laudible, but probably not realistic given the sales numbers required. Let’s break it down. Selling 68,000 units in 2014, which would not be a full of year of production, would be similar to Tesla Motors expecting to ramp up to production and sell 20,000 Model S cars in half of 2012. Unrealistic, even for Tesla CEO Elon Musk, who’s well known for making quasi-realistic claims. In fact, 68,333 units (the actual number Elio wants to build in less than a year) would be more cars than Jaguar-Land Rover sold last year combined. Between them, those two premium nameplates, who both have a rich history and long-established reputation in the market, managed to sell only 50,000 cars last year. It’s also more than Mitsubishi sold and is close to the total sales for Volvo. Becoming the Best-Selling U.S. Model? Hurry up, bub. We need 9,615.4 of those by the end of the week. Building and selling 250,000 Elios a year is also pretty far out there. It would make the Elio one of the top ten best-selling vehicles in the U.S. (likely inside the top 5, given 2012 numbers). 250,000 is about as many vehicles as Mazda, BMW, and Subaru sold (each) in the U.S. annually (as of 2012) for all of their model line. It’s more than Buick, Cadillac, Acura, Lexus, and a lot of others sell too. This from a new automaker with an unproven product and no dealership network (they appear to plan to go the traditional route rather than mimic Tesla’s factory-owned dealerships). Speaking of dealerships, the Elio car would have to sell at the same level as the Toyota Corolla or Honda Civic through a mere 120 dealerships. For comparison, both Toyota and Honda have more than 1,000 dealerships each in the U.S., not including dealerships for their sub-brands. The closest comparable would be Lexus, with under 200 dealers nationally, and who sells about 200,000 units annually. That’s of several models in various vehicle categories ranging from sport utilities to sedans and in an established, well-understood and trusted network under a brand whose reputation has been decades in the making. Versus Elio, a total newcomer with a non-traditional product and unproven platform, no dealership network, and no service departments. Going back to Elio’s numbers, we are considering 120 dealers selling 250,000 units annually, which works out to 2,084 units each. 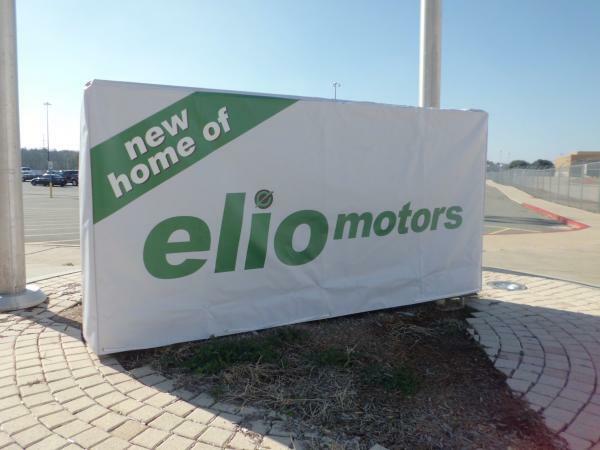 That’s not unheard of, but given that Elio plans to only staff each dealership with five people, some of which are not going to be the sales force, it becomes untenable. Let’s assume that 3 of those five staff members are salespeople – the other two will have to fill the roles of title clerk, receptionist, management, finance department, car washer/porter, etc. The dealership has to move 174 units a month to meet this quota, so each salesperson has to move 58 vehicles each. To give Elio the benefit of the doubt, we can say that because their car sells for about half the price of a low-end new car, their salespeople will be capable of selling twice as many cars over the average.. but this would ignore basic logistics. 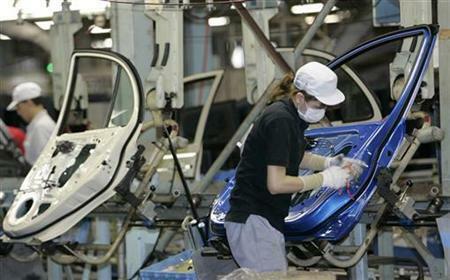 A salesperson selling 58 cars a month must thus sell nearly three cars a day (2.9 per day in a 20-day work month). This means they must be capable of bringing in enough potential customers, wooing them to buy and then spend the time going through the paperwork and other necessities (we can assume that even at the sub $10,000 or so price tag for the Elio, most will still buy on credit – something Elio has already said themselves) to sell the vehicle. They are going to be awful damn busy. Whew! Only 15 more to go by Friday. NEXT! So let’s assume our theoretical Elio Motors dealership has a steady stream of foot traffic and/or people looking at the cars so that the “sitting around waiting for something to happen” thing isn’t the norm there like it is at most dealerships. Let’s assume that the Elio dealer instead has customers waiting for salespeople (a bad idea) rather than the opposite, which is the norm. Given that, we can then follow Sales Guy 1 through his day. He talks to about a dozen people in eight hours, showing them the car and options. That’s less than an hour per prospect and has already eaten up his work day. If three of those people buy, he cannot talk to more people, but he’s made his quota. 3 buyers out of 12 is a ratio of 1:4 and that’s way, way, way better than the industry average, which is closer to 1:30. He’s beating that average, but since a car sale typically takes six hours to complete, he’ll have to put in an 18 hour day to do it. 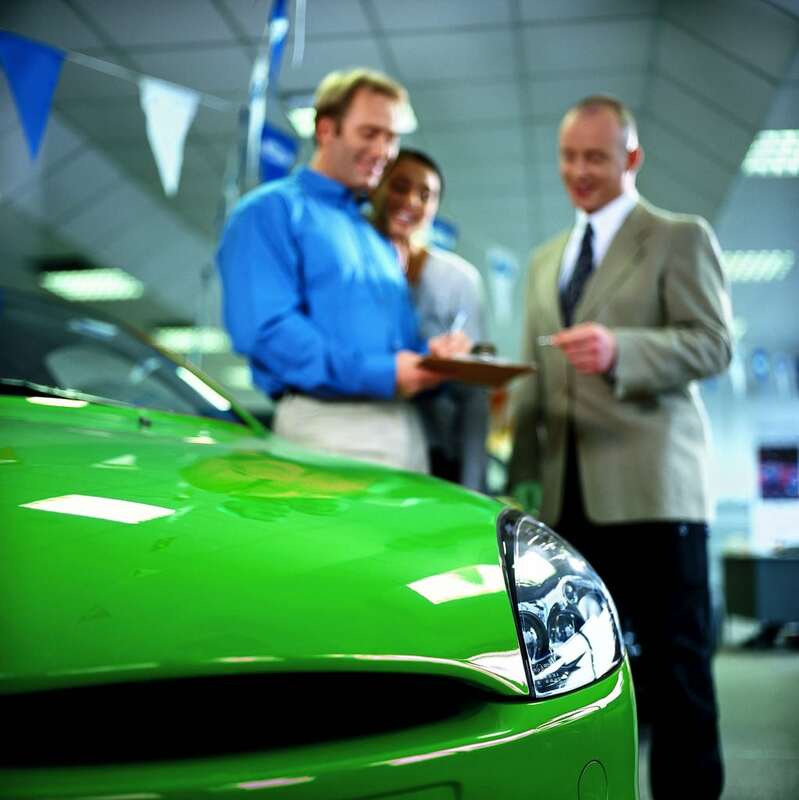 Car sales are a lot more than just signing on a dotted line and taking the keys, after all. The vehicle’s title has to be transferred, registration paperwork filed, sales tax and other things recorded, financials worked out, title liens or underwriting done to go with that, etc. Typically, multiple contacts between the dealership (sales person) and the buyer plus loan institutions, etc. will have to be made. Often, the financial clerk (who at this dealership is dealing with nine sales per day, by his or her lonesome) has to contact multiple lenders, conduct several background checks including income and job verification for the buyer(s), and a lot more. All of this for a commission of just a couple of hundred bucks, tops, for the salesperson. Granted, $600/day is nothing to shake a stick at, but the guy will be juggling half a dozen or more car deals at any one time and is putting in damn long hours to do it – and these numbers assume no vacation or sick days for our overtaxed salesman. Not to mention these sales are taking place at a dealership that doesn’t offer any of the amenities a traditional dealer is expected to have, including a maintenance/service department (including parts sales) to cover warranty/recalls and so forth. To sum it all up, Elio Motors will have to accomplish the impossible by ignoring every norm in the automotive industry to do so. Anything is, of course, possible, but if Elio were approaching me with these figures and asking me to drop huge sums of cash into their venture, I’d have to take a pass on the deal. Frankly, it’s just not realistic. Can they do it? Who knows. They’ve been “18 months from production” now for three years. What’s another two? Many thanks to Carl, a recently-retired automotive sales manager, for his insights into the inner workings of a car dealership. Update 8/22/2013: The Caddo Commission approved the scheme to buy the plant via a property trust, lease it to a property management company, and through them lease it to Elio. The commissioner with the only dissenting vote, however, is suing to stop the maneuver saying it’s illegal. Read about it here and here. Why do you buy an electric car? The mini is not the competition for the Elio. They are following the original “people’s car” market, especially in cities with HOV lanes. If VW can target 800,000 car sales, I think Elio have a good run at it. Did you even read the article? I used the other cars listed to show what types of vehicles Elio would have to outsell in order to make their unrealistic goals. VW is a much, much, much larger carmaker than is Elio and the VW Group is actually several different brands, not just one.